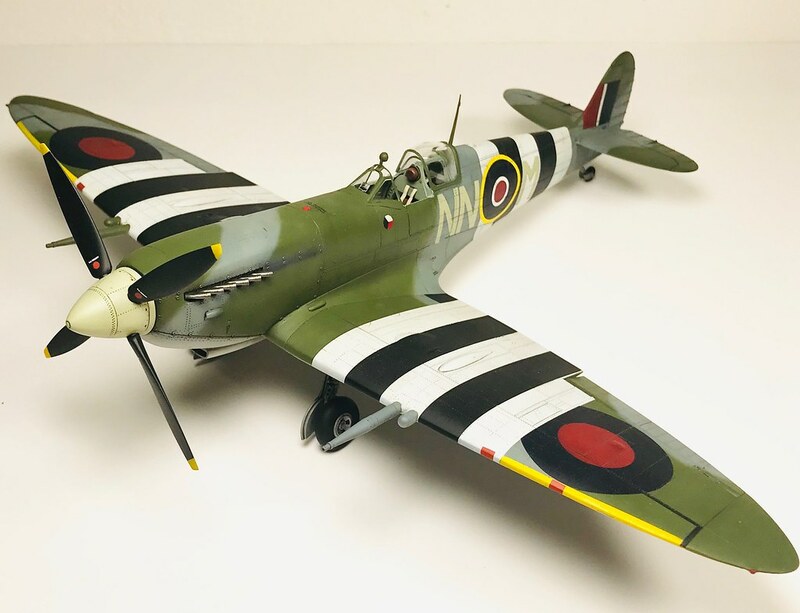 Rather enjoyable build of the Revell Spitfire kit. 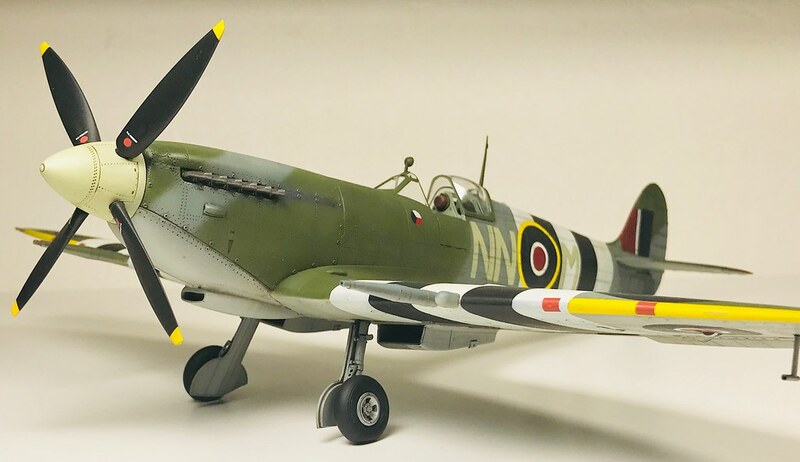 One thing to note, its NOT Tamiya and I dont think the two kits can compare besides being Spitfire Mk.IX in 1/32 scale. This is not meant negatively, I am just putting things to perspective here. This kit is targeted for a different audience and a different price bracket. 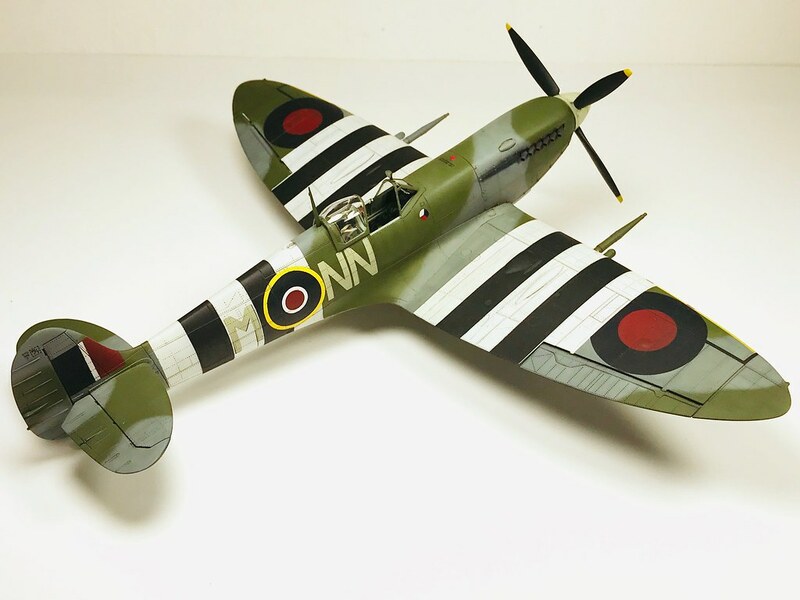 The fit is very good, it builds quickly to a respectable replica of the Spitfire. 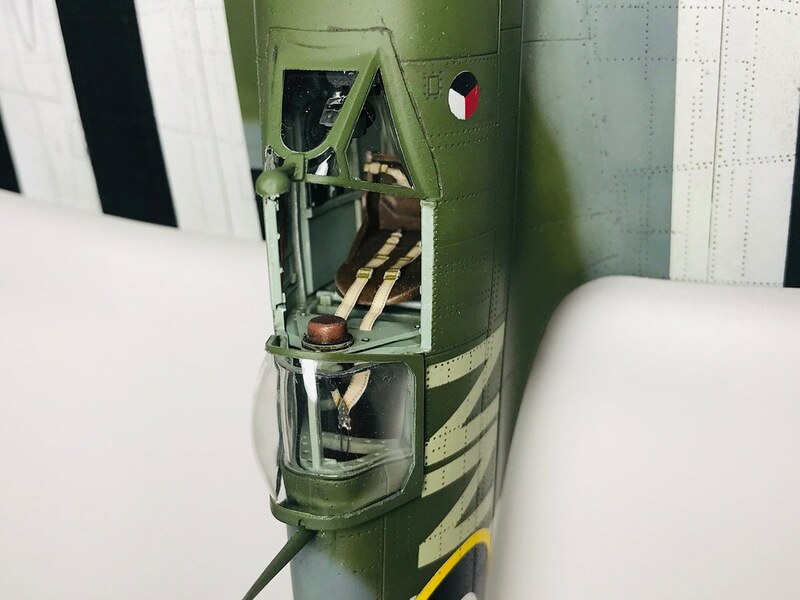 It does lack in detail in some aspects and few items definitely need replacement such as the wheels, exhausts and most notably the gun barrels as those are rather unusable. Some molding is on the soft side and some may deem the rivets overdone. 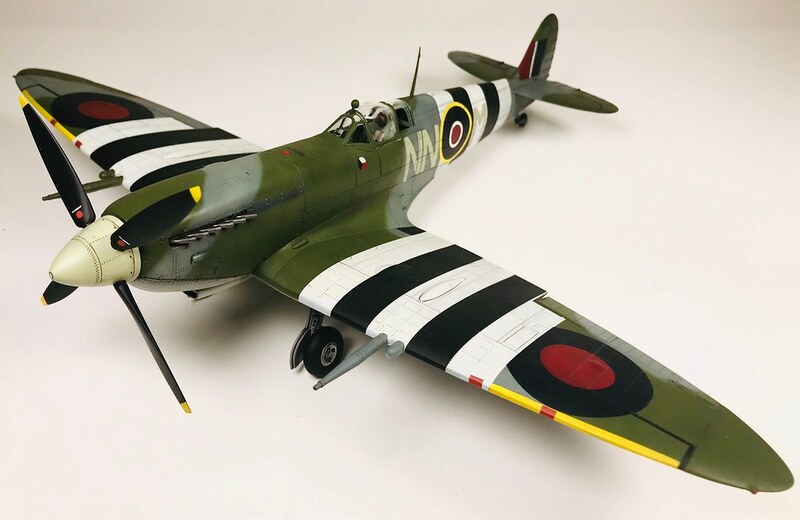 As far as I am concerned and my personal opinion is that Revell has produced a decent kit for the “masses” that will bring decent results even for a beginner modeler with equal amount of effort. Its a kit that you can buy in a local supermarket toy section and will not be disappointed. However please do not expect a superdetailed kit. My build was deemed as just an easy quick build between bigger projects. It turned out to be an easy build but not quick due to time constraints. Funny enough it was originally intended to be ready for MosonShow 2017 but I barely made it for E-Day last week. I also wanted to see how Revell coped with the subject. I have enjoyed every minute spend on the kit. All markings with the exception of the stencils are done by using masks prepared by myself and cut by a friend of mine on a silhouette plotter. In the end I am happy with the results, however not happy with the exhaust stains that I will have to still correct. All in all a it was a fun and relaxing build (except the night before E-Day). Looks real nice. 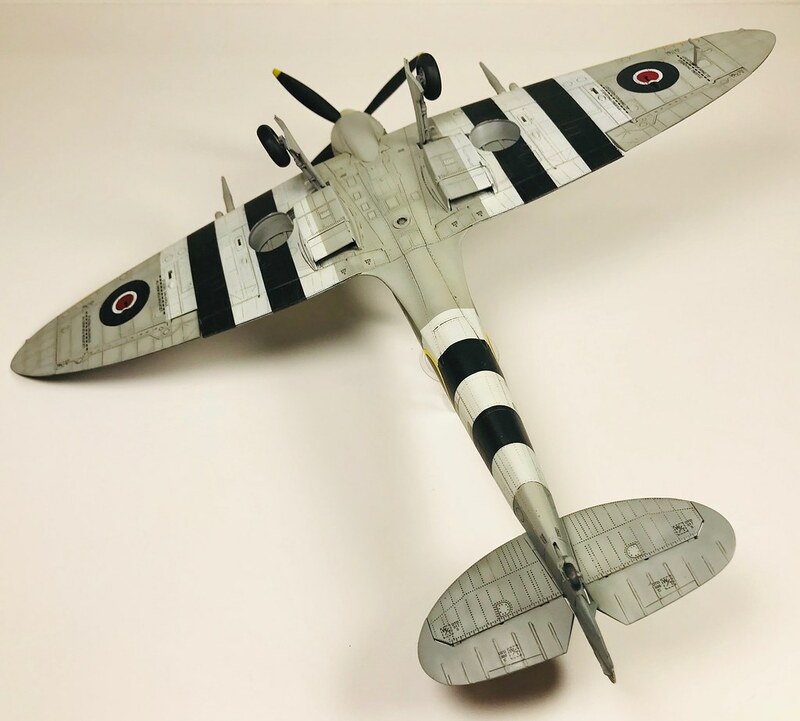 I've been tempted to grab one of the Revell Spit kits, probably the IIa, but haven't done so as yet. Brilliant. I have this in my stash. Grabbed it for a bargain when Revell kits were sold at 50% off here a while ago. Superb, very well done. A Czech squadron in stripes has to be one of my favourite schemes on a Spit. 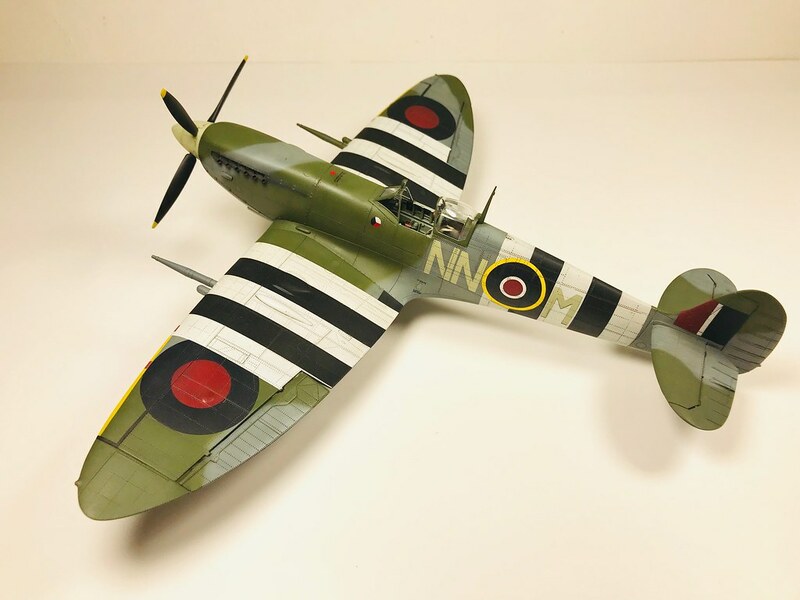 The good news..............and regardless, it certainly looks like a Spitfire Mk IX !! Very nice! 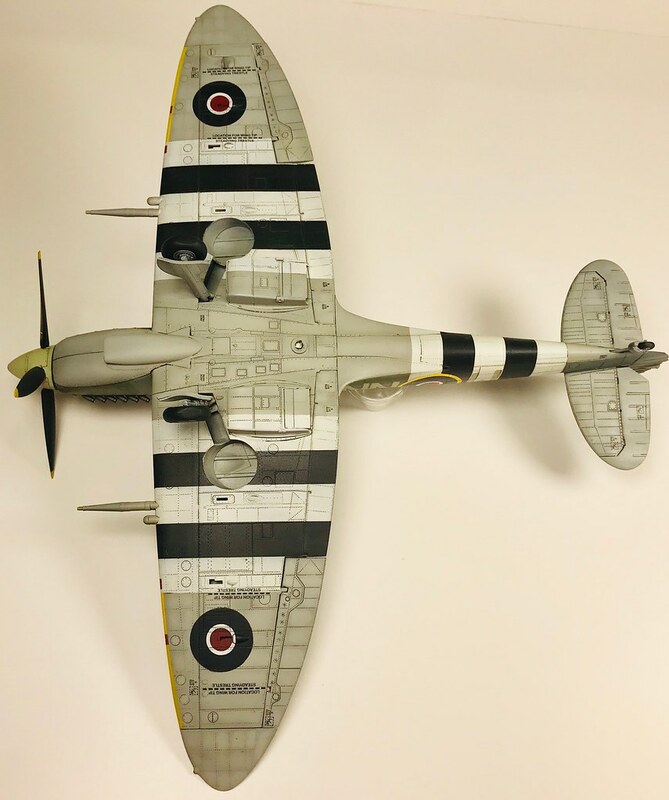 Those invasion stripes really create a striking Spitfire! Thank you gentlemen for your kind comments. 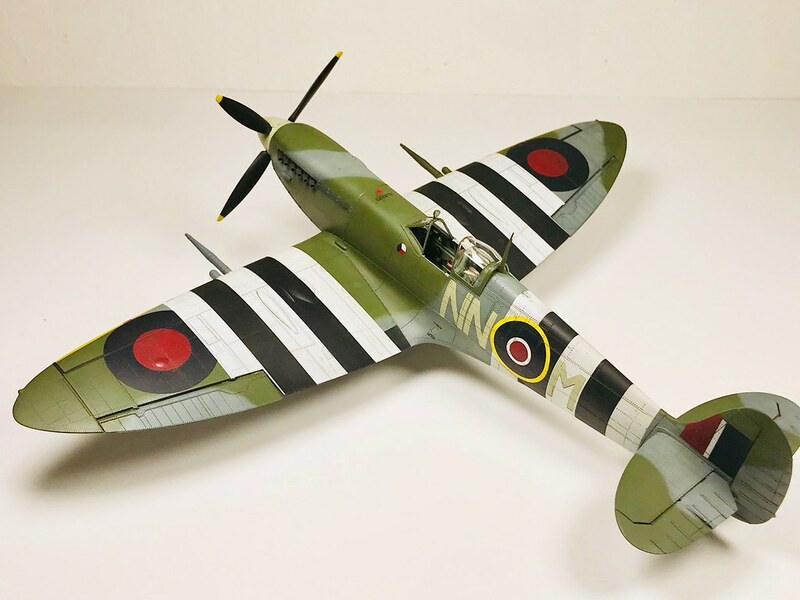 Spitfire is a beautiful airplane. I have to agree that with the Invasion stripes its an attractive scheme. Plus for me its my countrymen serving with the RAF during WWII that makes it special. I feel privileged to have personally known and met a few and they were, and some still are fine gentlemen and women. So our scale creations are to honor their sacrifices.